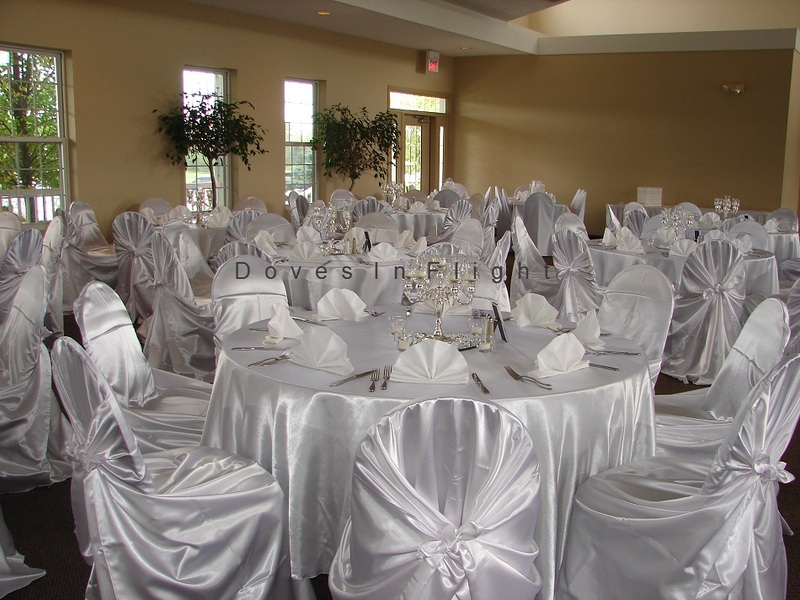 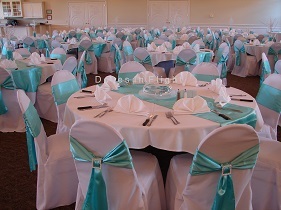 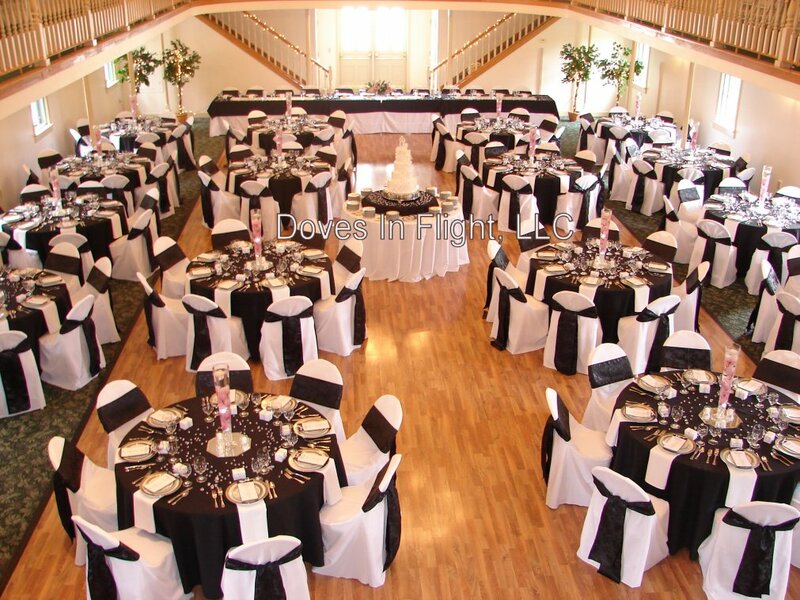 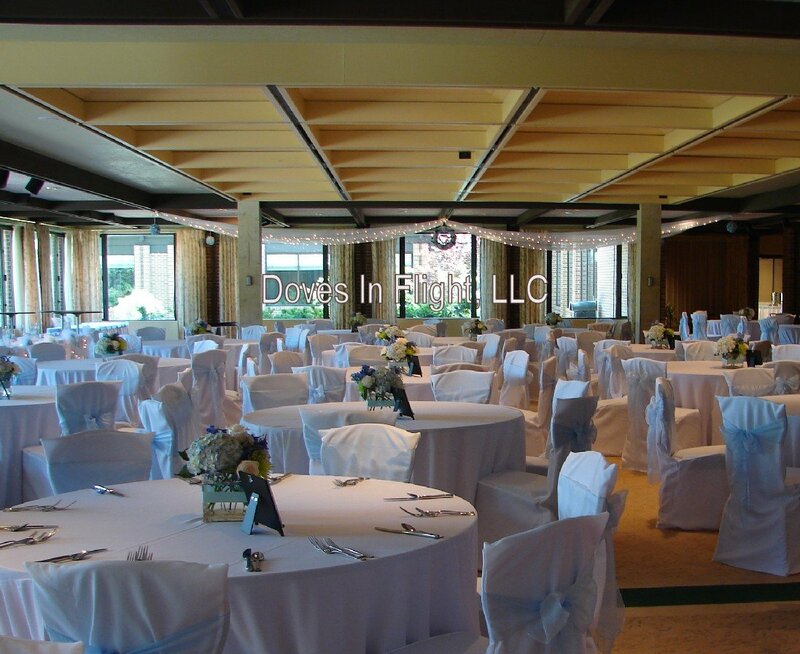 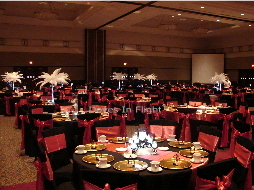 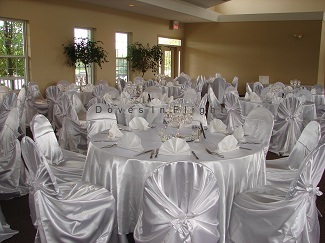 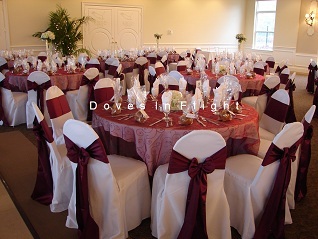 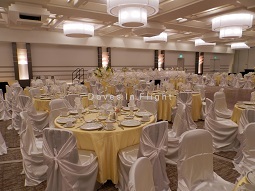 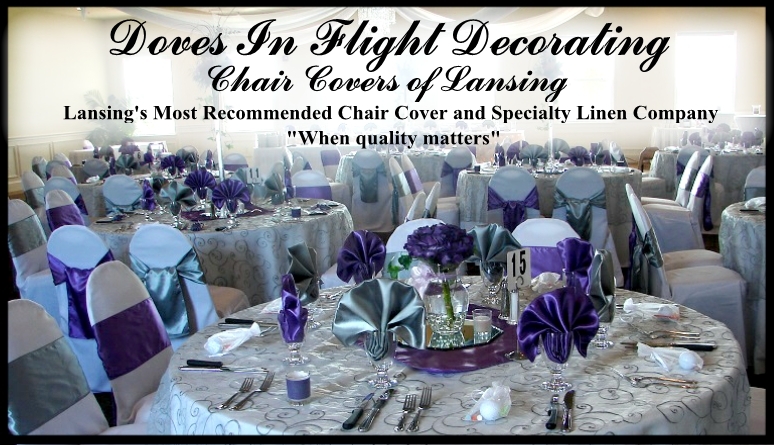 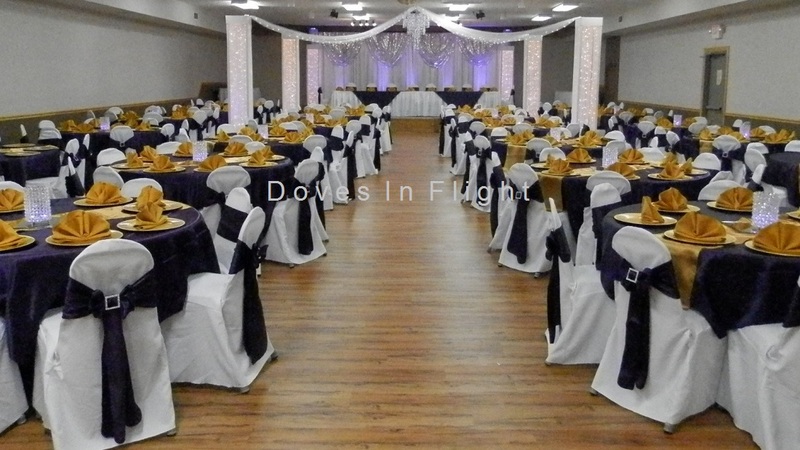 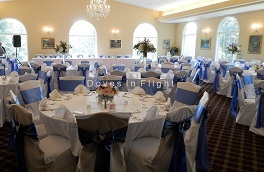 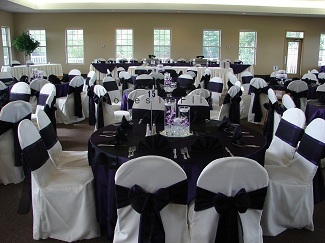 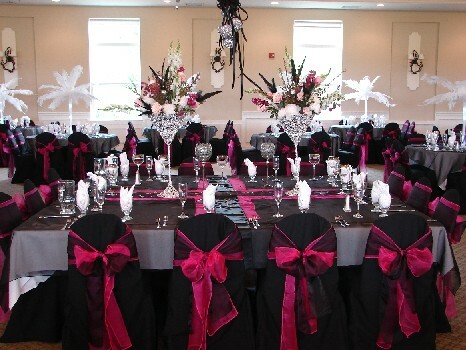 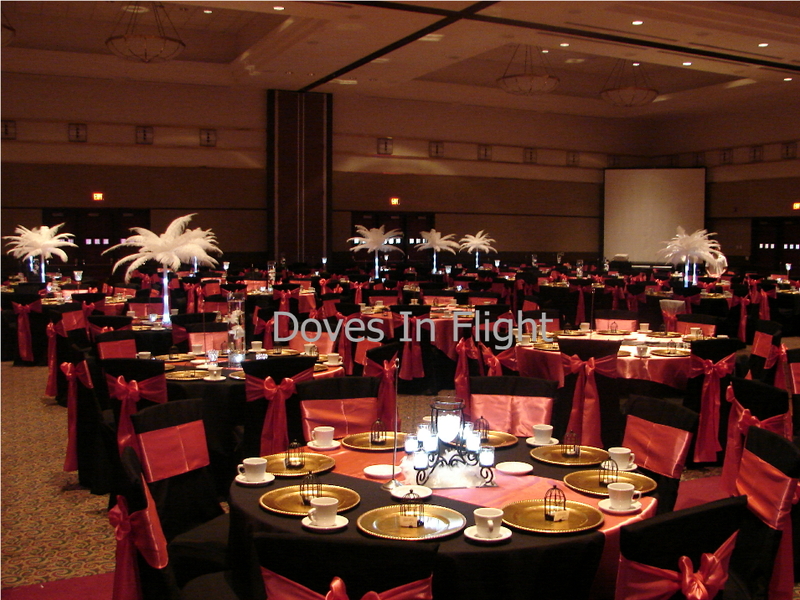 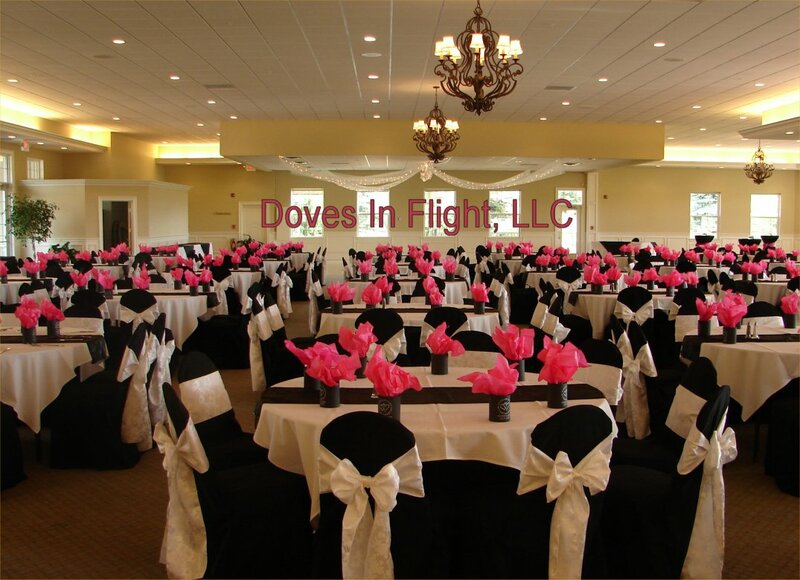 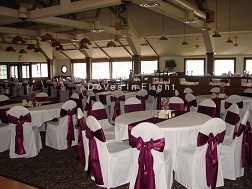 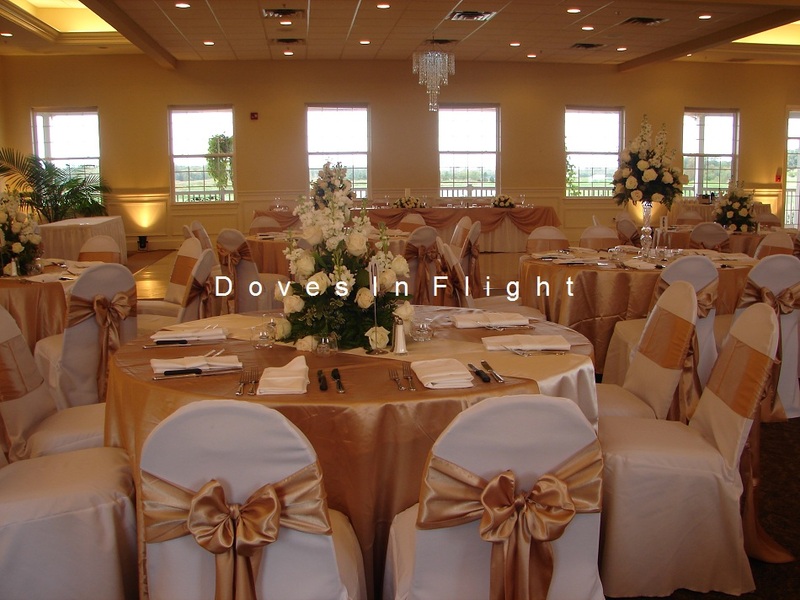 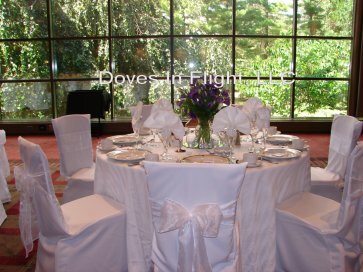 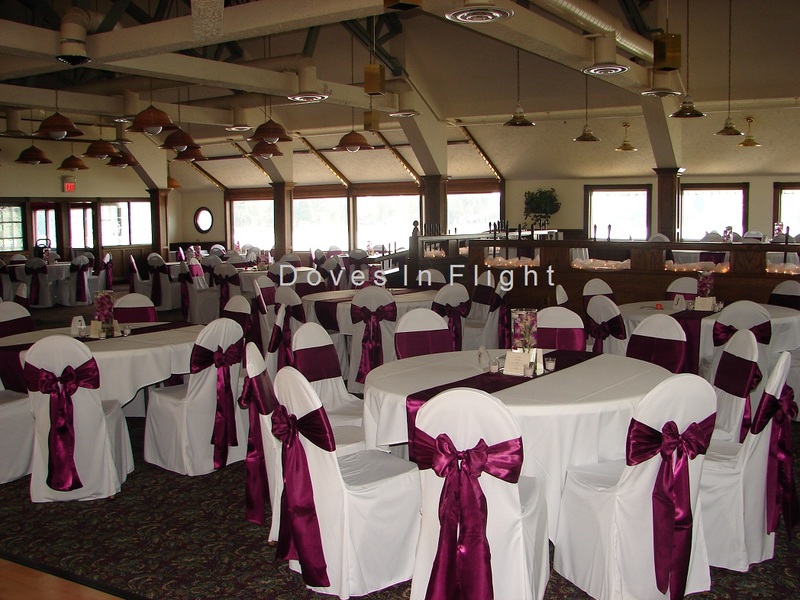 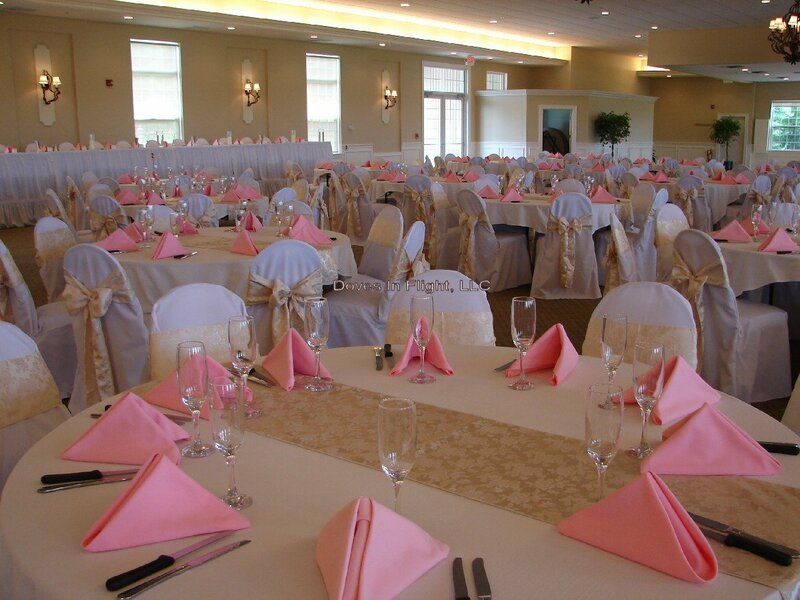 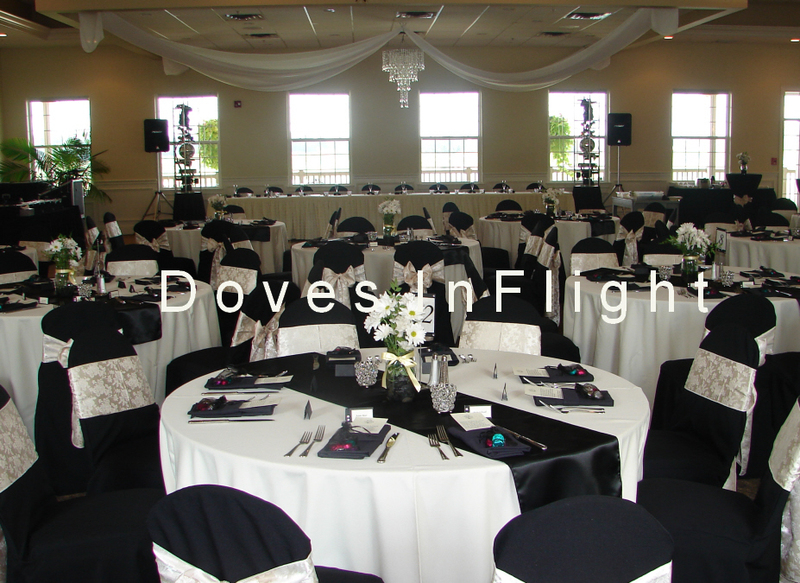 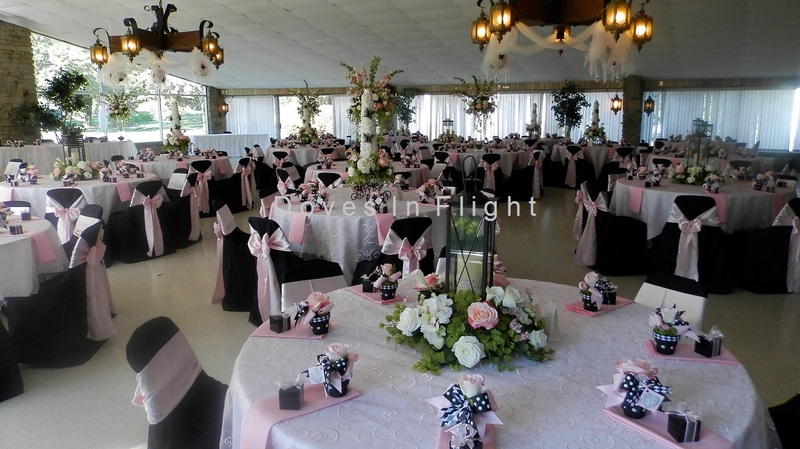 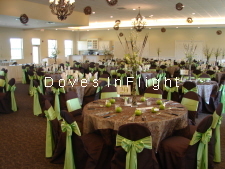 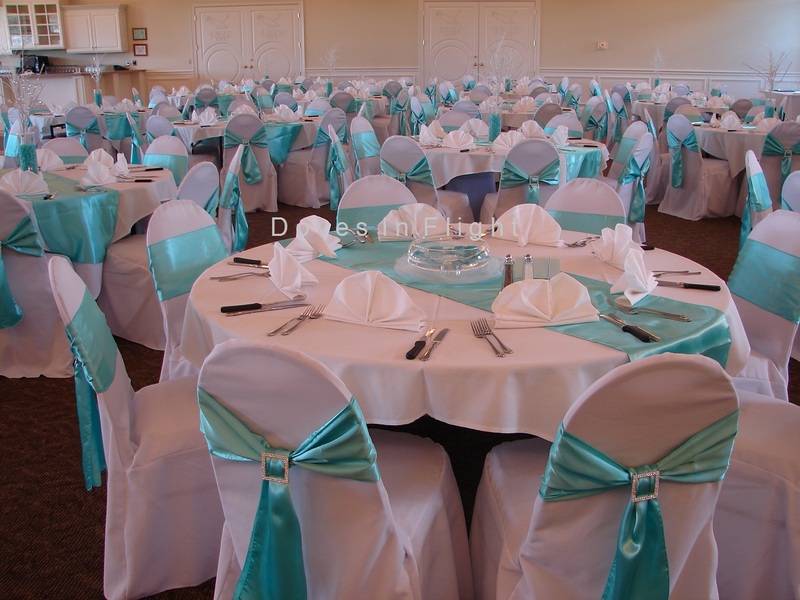 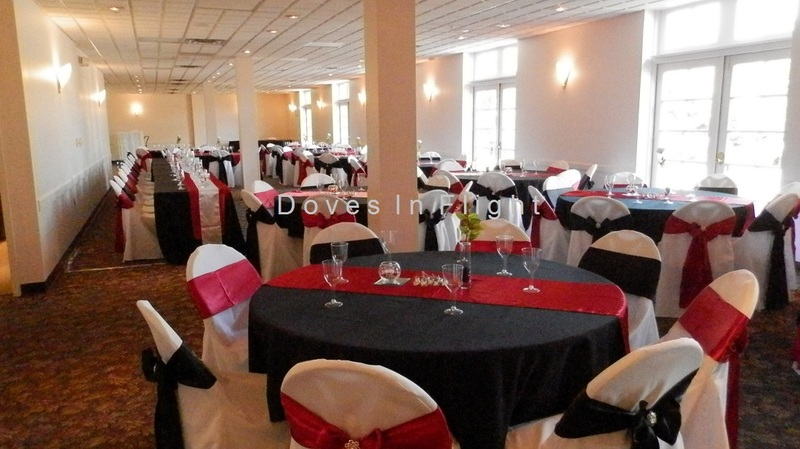 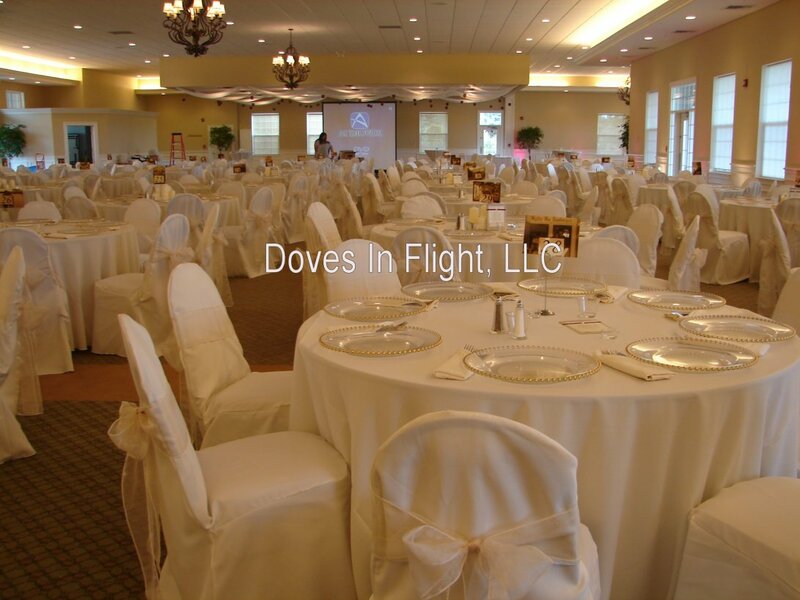 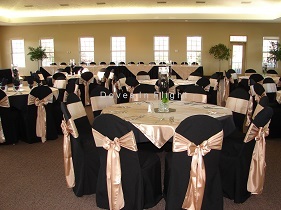 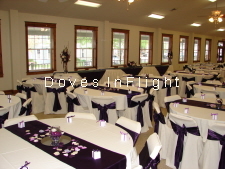 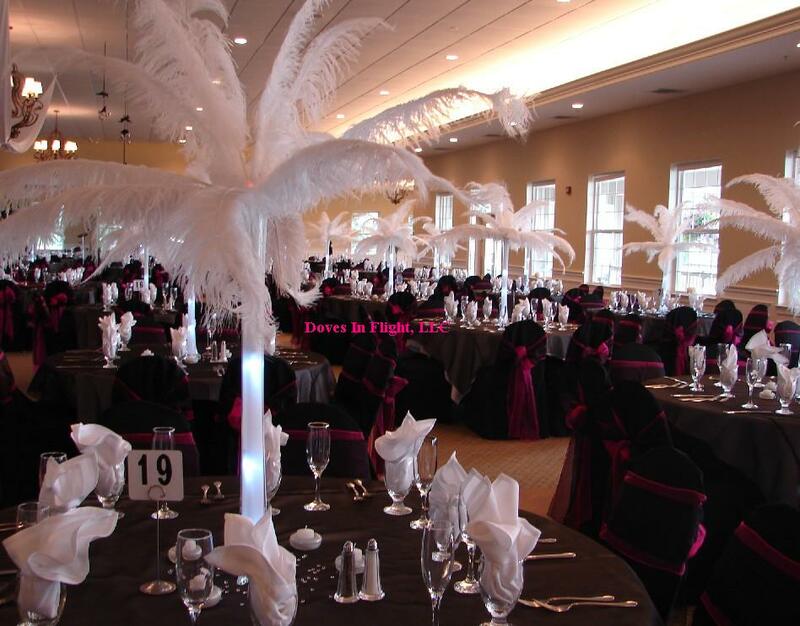 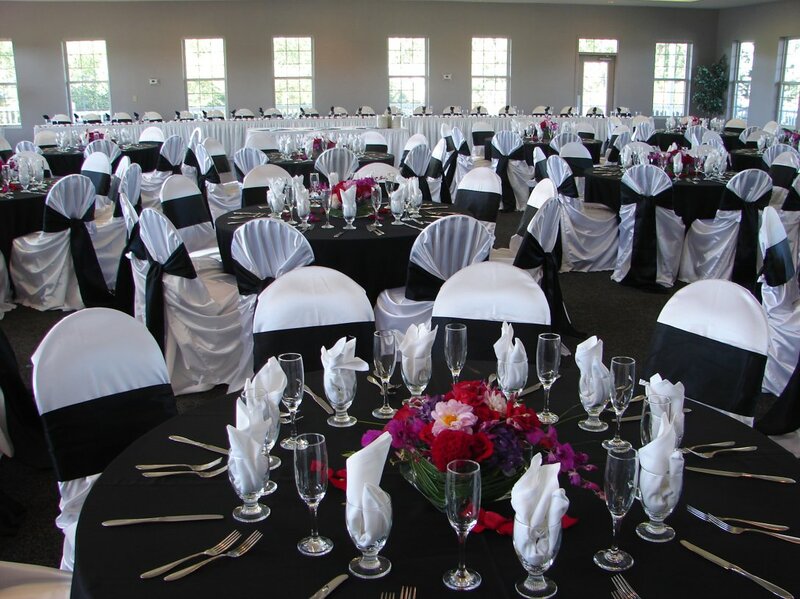 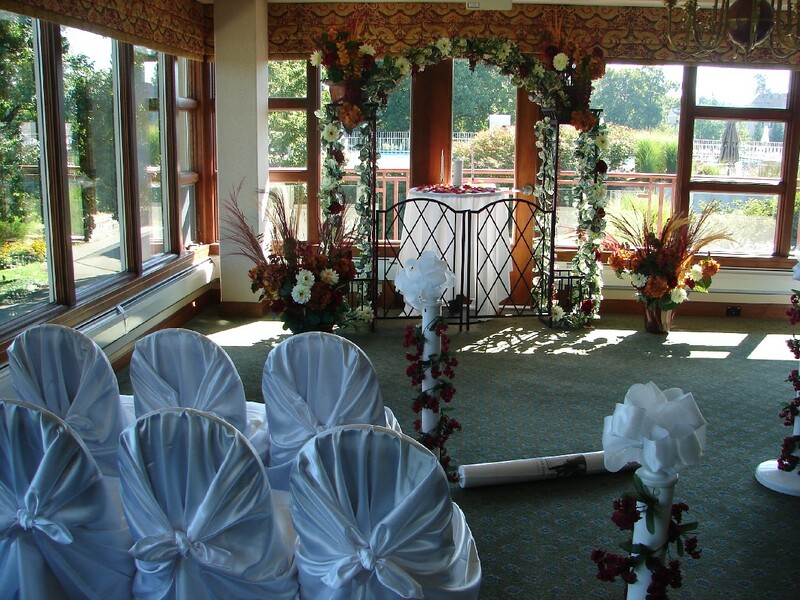 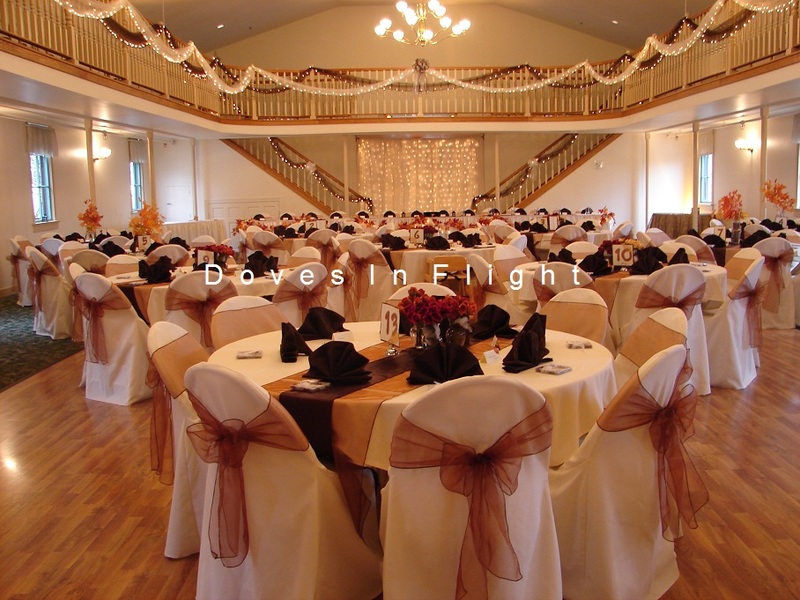 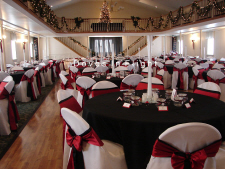 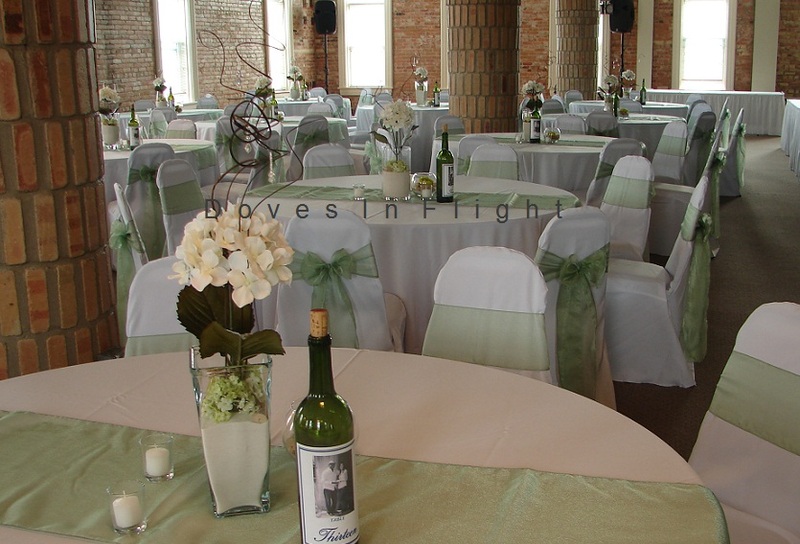 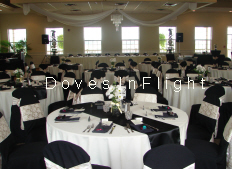 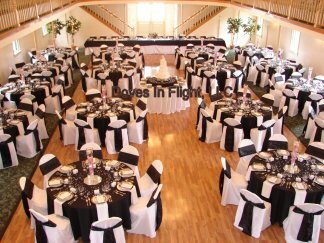 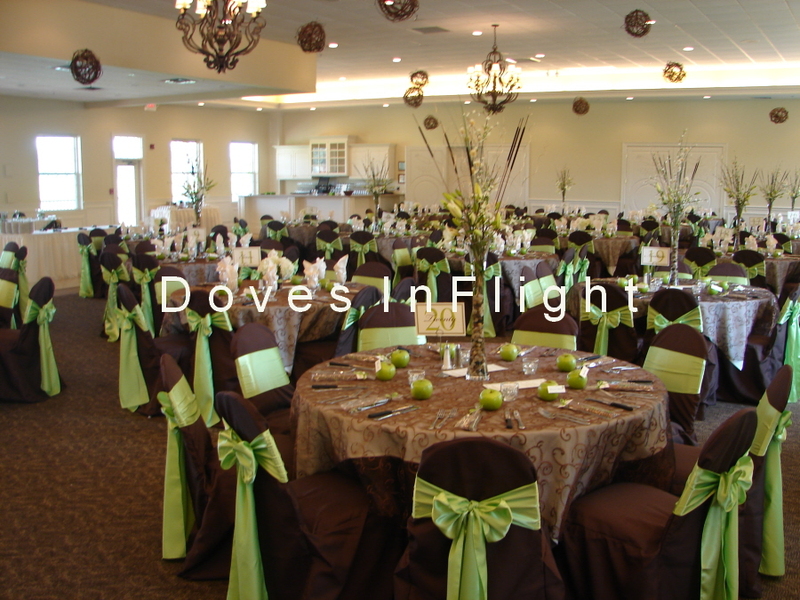 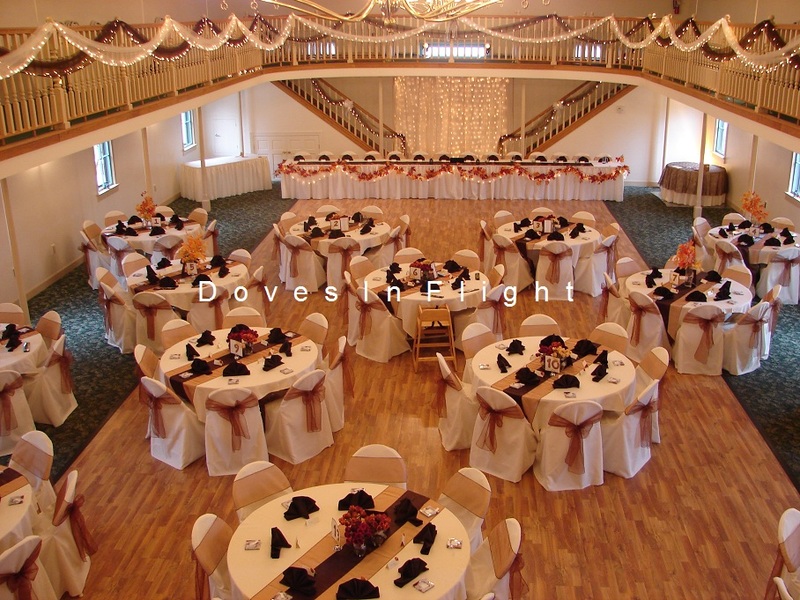 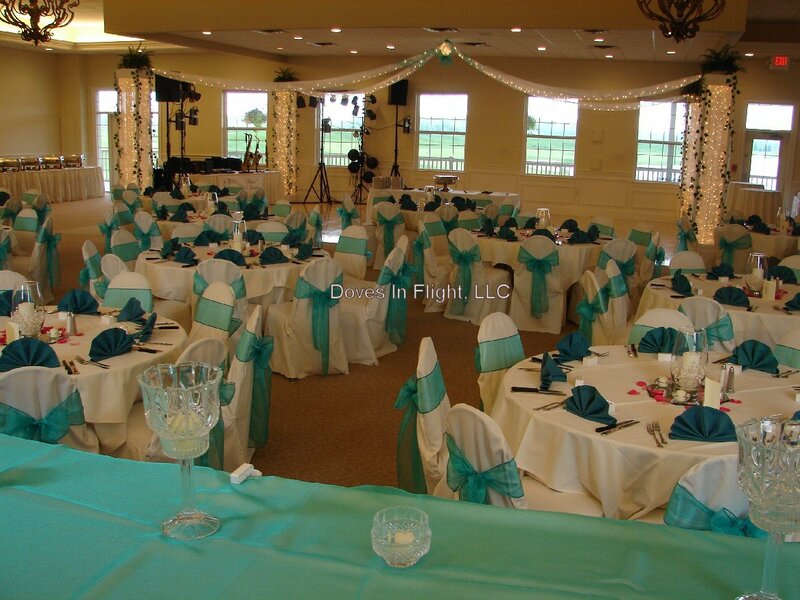 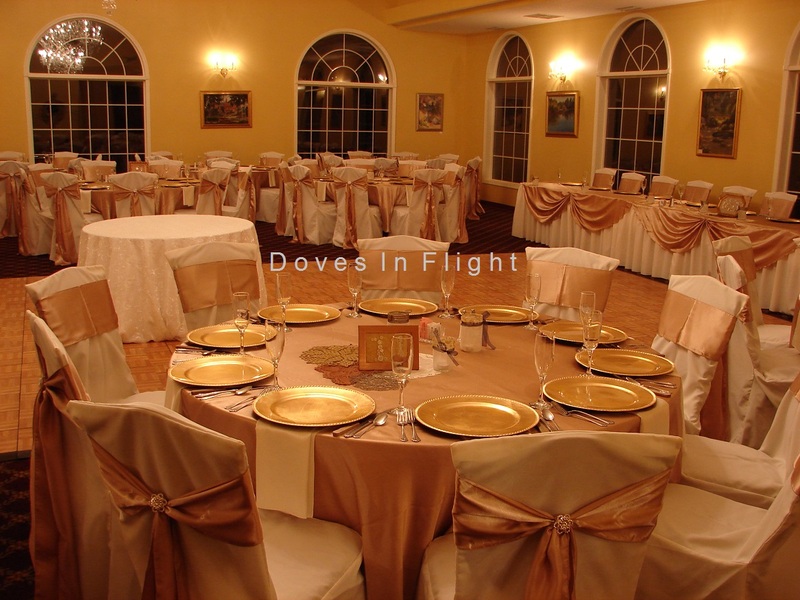 Chair Covers of Lansing is a local chair cover and linen company, specializing in elegant chair covers, chair wraps, linens and table overlays. We offer the highest quality products, sashes in a large variety of colors and matching overlays, all at extremely low, affordable rates. Dependable and service-oriented, we offer optional delivery and set-up, and same-night pick up for your convenience. 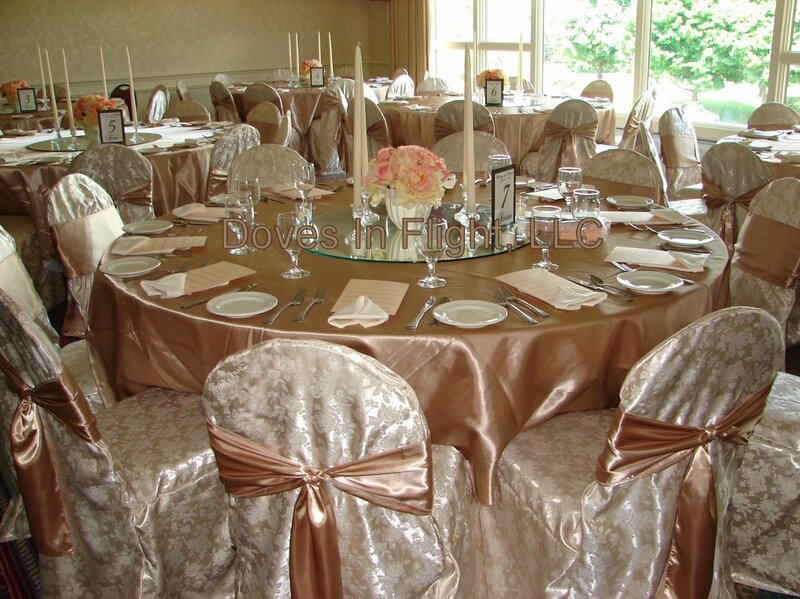 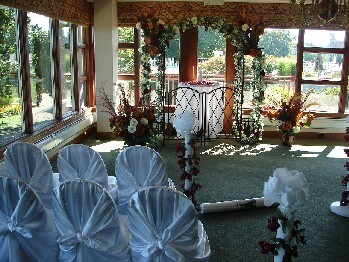 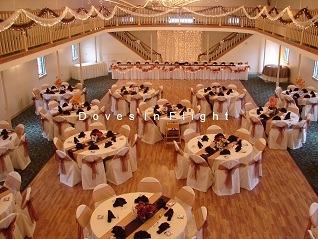 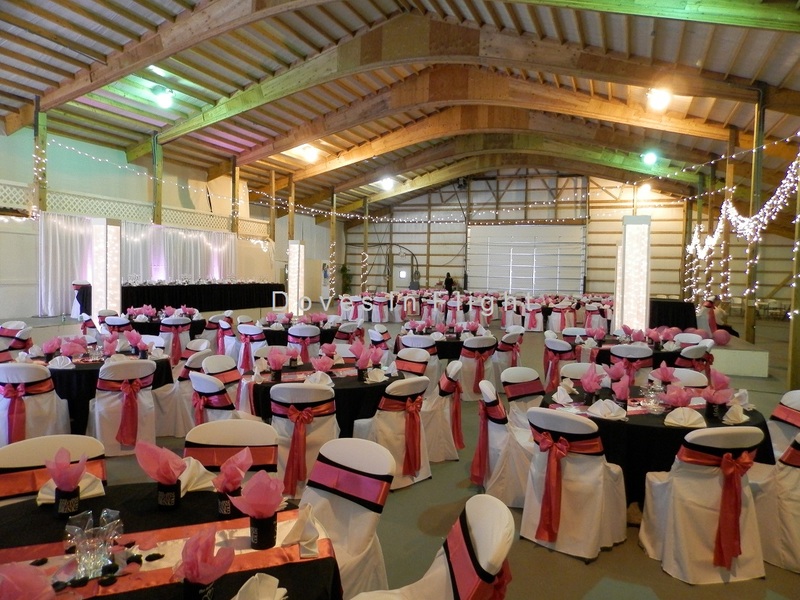 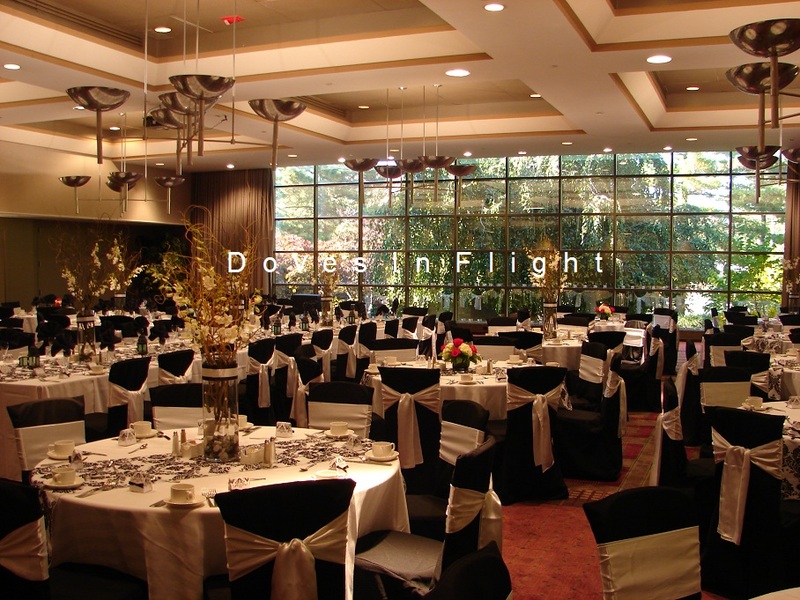 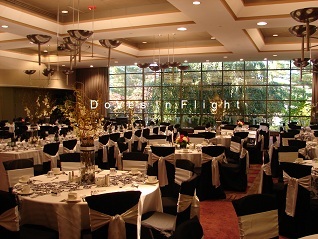 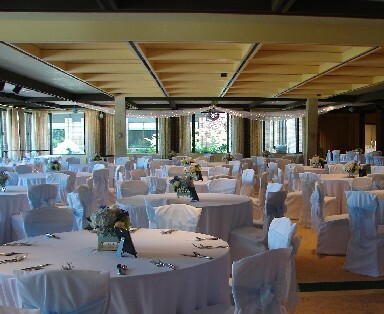 Call for an appointment - we look forward to meeting with you to make your event special! 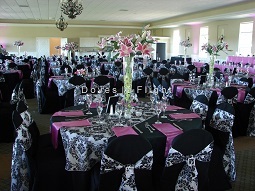 Black with Hot Pink Double Sash, Overlay and Runners.